​58 Fairfield Residents Turn Age 65 Every Month: Where Will They Live? Fairfield Senior Advocates (FSA) held its “Conversation about Housing Choices for Fairfield Seniors” event at the Board of Education on May 23. The event was designed to discuss strategies to advance senior housing options/preferences for Fairfield seniors at all income levels. FSA believes that keeping our seniors is in everyone’s best interest. The session featured informative presentations by Town senior Economic Development and Planning/Zoning staff as well as invited developers/planners. Speakers also responded to questions from the audience of about 100 residents. Participating with us were town department staff, planners, developers and an architect with varied experience across the state and with various housing types. We are grateful for their participation. ​Andy Montelli – Developer in Fairfield, who works in neighboring towns and cities as well. At all income levels there is a desire for more options to downsize and reduce housing/maintenance costs and improve convenience. A clear desire (waiting list) for “affordable housing” that is rent and income restricted. A revision to the Plan of Conservation and Development (which will be completed by the end of 2019). Town Planning and Zoning would appreciate community input. Included in the POCD are sections that address the desired character and objectives for development in each Fairfield neighborhood. A transit district oriented development (TOD) study focused on future development proximate to the Metro Center and Downtown train stations. Ownership of a High Street former US Army site could be potentially transferred to the Town - for recreational use only. Pine Tree (50 units, all “affordable housing”) was built through a public/private partnership. All first floor units are handicapped accessible. The Authority has additional monies and welcomes ideas on how to best use these funds. Allowed in Fairfield for houses over five years of age. These units are most often used for a parent or adult child in Fairfield. A Town review of such units is now in progress. While there are 225 such apartments currently on the Town registry, many of these are not formally rented but are used by family members. No real validation of the degree/type of needed senior housing has been done. A related study in progress should be completed by the next State legislative session. 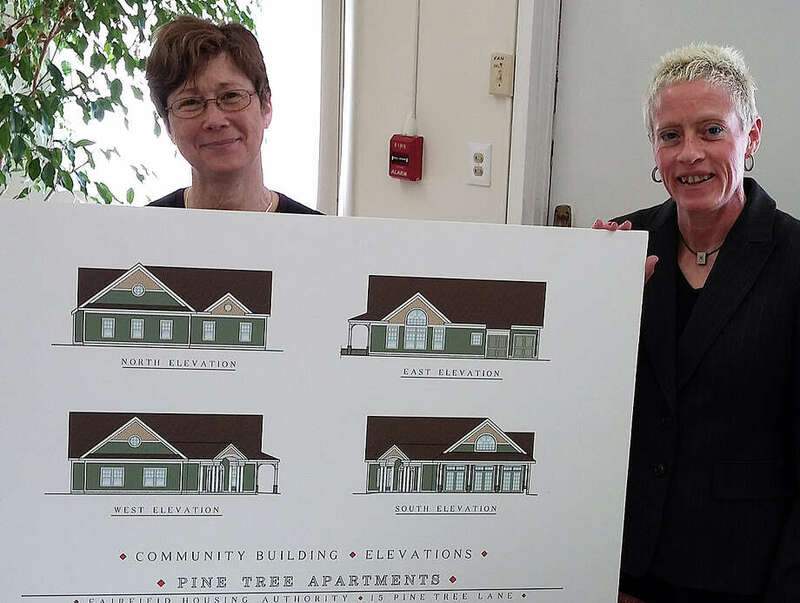 No CT town has done a good job in addressing its senior housing needs. Developers tend to prefer large scale projects. Small development can be just as difficult as a large development. Markets desiring small scale projects needs should seek willing developers with whom to partner. The concept of pocket neighborhoods (strategically placing 10 to 12 houses on one acre) can be effective and is a reasonable goal. Many residents prefer accessibility to amenities and their neighbors. Increased density can promote a sense of community and can be effective if well- conceived. Mixed use (commercial/retail on the ground floor) can be an effective strategy. One challenge is that no incentive structure exists to build what we call “attainable housing”. Developers might be incented to build smaller projects though subsidies, property tax incentives or private/public partnerships. “Affordable housing” should be evaluated in conjunction with needed services. A challenge to “affordable housing” in CT is currently low Medicaid reimbursement levels. Land in Fairfield is limited, and Town land use regulations may need to be updated. Community groups like FSA can serve as matchmakers: look for properties and connect developers with preferred types of housing opportunities.